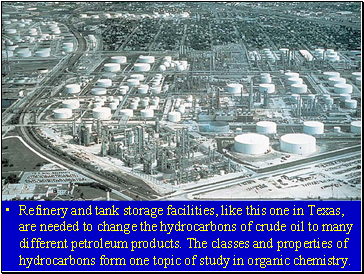 Refinery and tank storage facilities, like this one in Texas, are needed to change the hydrocarbons of crude oil to many different petroleum products. 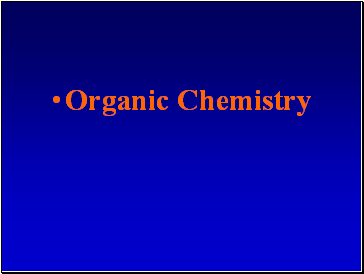 The classes and properties of hydrocarbons form one topic of study in organic chemistry. An inorganic element is any compound that is not an organic compound. It has room for 4 bonds to 4 other atoms. 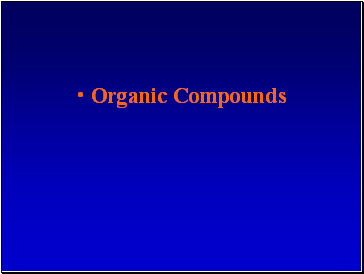 Organic compounds have specific geometry around the carbon to carbon bond. 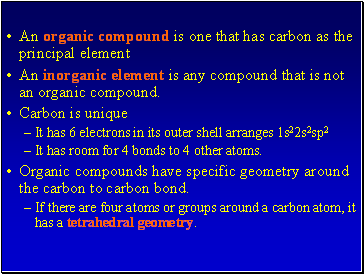 If there are four atoms or groups around a carbon atom, it has a tetrahedral geometry. (A)The carbon atom forms bonds in a tetrahedral structure with a bond angle of 109.5O. 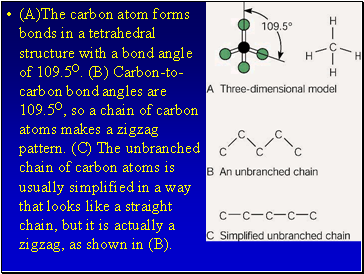 (B) Carbon-to-carbon bond angles are 109.5O, so a chain of carbon atoms makes a zigzag pattern. (C) The unbranched chain of carbon atoms is usually simplified in a way that looks like a straight chain, but it is actually a zigzag, as shown in (B). 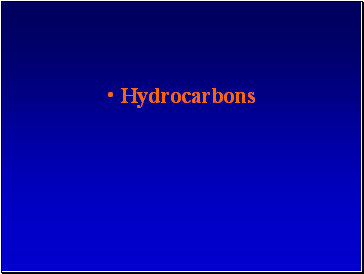 A hydrocarbon is a compound consisting of only hydrogen and carbon. 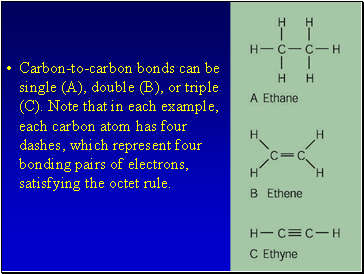 The carbon to carbon can be single, double, or triple bonds. The bonds are always nonpolar. 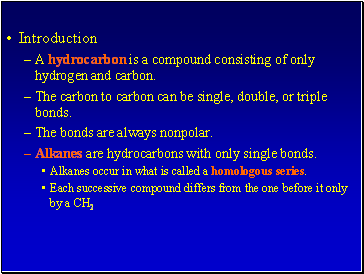 Alkanes are hydrocarbons with only single bonds. 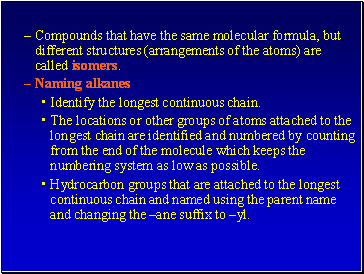 Alkanes occur in what is called a homologous series. 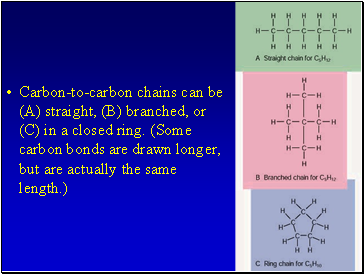 Carbon-to-carbon bonds can be single (A), double (B), or triple (C). Note that in each example, each carbon atom has four dashes, which represent four bonding pairs of electrons, satisfying the octet rule. Compounds that have the same molecular formula, but different structures (arrangements of the atoms) are called isomers. Identify the longest continuous chain.